The fifth requirement of genetic equilibrium is the absence of natural selection. Natural selection is an ongoing process in nature, so it often disrupts genetic equilibrium. As you have learned, natural selection means that some members of a population are more likely than other members to survive and reproduce and thus contribute their genes to the next generation. Recall that natural selection operates on variations of traits within a population, such as body size or color. When natural selection is at work over time, the distribution of traits in a population may change. In a graph, this kind of change would appear as a shift away from the normal bell curve. Scientists observe three general patterns of natural selection: stabilizing selection, disruptive selection, and directional selection. In stabilizing selection, individuals with the average form of a trait have the highest fitness. The average represents the optimum for most traits; extreme forms of most traits confer lower fitness on the individuals that have them. Consider a hypothetical species of lizard in which larger-than-average individuals might be more easily spotted, captured, and eaten by predators. On the other hand, lizards that are smaller than average might not be able to run fast enough to escape. Figure 16-8a shows the effect of stabilizing selection on body size in these lizards. The red curve shows the initial variation in lizard size as a standard bell curve. The blue curve represents the variation in body size several generations after a new predator was introduced. This predator easily captured the large, visible lizards and the small, slower lizards. Thus, selection against these extreme body types reduced the size range of the lizards. Stabilizing selection is the most common kind of selection. 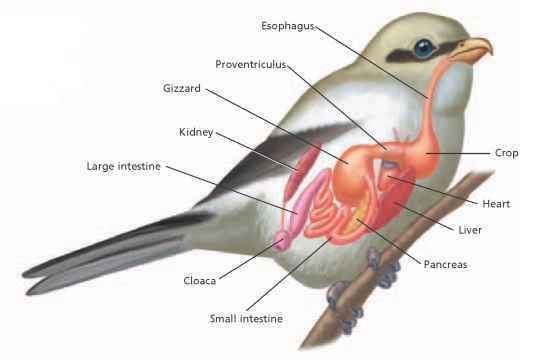 It operates on most traits and results in very similar morphology between most members of a species. In disruptive selection, individuals with either extreme variation of a trait have greater fitness than individuals with the average form of the trait. Figure 16-8b shows the effect of disruptive selection on shell color in limpets, which are marine animals. The shell color of limpets varies from pure white to dark tan. White-shelled limpets that are on rocks covered with goose barnacles, which are also white, are at an advantage. Birds that prey on limpets have a hard time distinguishing the white-shelled limpets from the goose barnacles. On bare, dark-colored rocks, dark-shelled limpets are at an advantage. Again, the limpet-eating birds have a hard time locating the dark shells against the dark background. However, the birds easily spot limpets with shells of intermediate color, which are visible against both the white and dark backgrounds. Natural selection is evident when the distribution of traits in a population changes over time, shifting from the original bell curve (indicated in red) toward another pattern (shown in blue). Stabilizing selection (a) is a shift toward the center of the original bell curve. Disruptive selection (b) is a shift in both directions away from the center. Directional selection (c) is a shift in one direction only. In directional selection, individuals that display a more extreme form of a trait have greater fitness than individuals with an average form of the trait. 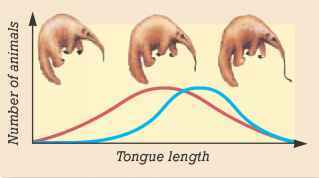 Figure 16-8c shows the effects of directional selection on tongue length in anteaters. Anteaters feed by breaking open termite nests, pushing their sticky tongue into the nest, and lapping up termites. 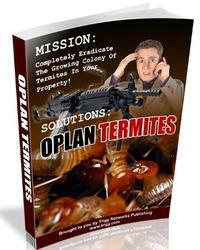 Suppose that the termites in an area began to build deeper nests. Anteaters with long tongues could more effectively prey on these termites than could anteaters with short or average tongues. Thus, directional selection would act to direct the trait of tongue length away from the average and toward one extreme.